Ecom Express is a leading courier company in India which provide safe, reliable and express delivery services. Ecom Express franchise lets you apply for the partnership. You can become Ecom Express official courier partner to deliver their parcel in your local area or city. Ecom Express they have services to 75000+ pin code in India. Reputed online shopping websites like Paytm, ShopClues, Snapdeal dispatch orders through Ecom Express. Therefore it’s a great opportunity to take franchise service and earn money from the agency. 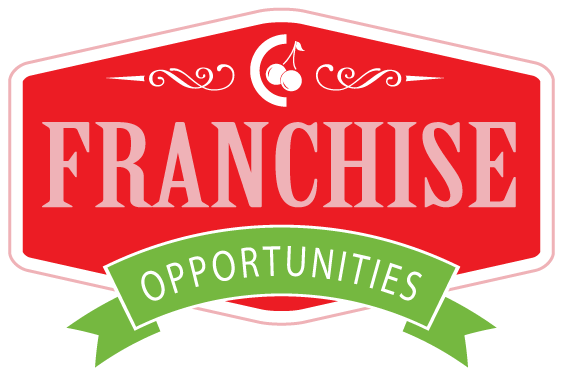 How to open the franchise? 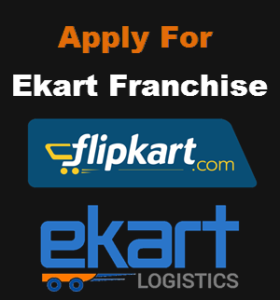 If you read our Post on regular basis, you can find we have mentioned some basic requirements in our previous post Flipkart courier franchise and Blue Dart logistics franchise. You need enough space in your area to start any kind of franchise business and other necessary accessories. So please make sure you have at least 300 square feet to 400 square feet space and experienced manpower. Because in this business if you are not responsible then you would be in loser side. Ecom Express dealership form lets you fill up all the details so that Ecom courier team they can verify and allow you as an official franchise partner. Visit the official website and find out the partnership form. While discussing this franchise business it is the most common question, what is the security deposit? to start a franchise. Actually, we didn’t find any security deposit details from Ecom Express official website. This is probably confidential and maybe it will be revealed when you are accepted by Ecom courier team. So your first step, is to apply for Ecom franchise. Here we must warn you that, before signing to contract paper with any company please read all the agreement papers and then only deposit security money. It has been seen that many companies take security deposit money and after ending contract they deny to money back. However, each company has their own terms and conditions and following those rules they have separate courier fees. There are some basic details you need to fill up while applying for their franchise like name, email, postal address, nearby courier company, your pin code and contact number. For verification purposes, we advise you to keep ready your valid verification documents. These documents are voter card or driving license, ration card or landline bill, Bank Passbook or Bank statement and property proof. You can contact Ecom Express support team directly by sending email to them. You can also download our PDF franchise guide which will help you to write correct application format. Because lack of information means its a spam franchise application.Therefore naturally they reject all these applications. We highly recommend you to download our guide and read all tips and tricks so that you get 100% approval from them without any hassle. Sir how to open Ecom express franchise.Please guide me, I have enough space in my office. Sir, I want to open Ecom express franchise in my locality. please send proper information related that. Sir.I want to take Ecom express agency in my area that is Moradabad,244001 UP help me further details. Please contact me. Sir, i want to open Ecom courier franchise, plz sir contact me. Hello This Is Anmol And I want to open ecom franchise, I have all the electronic equipment like a scanner, printer, barcode reader, high-speed internet and also have 2 big offices in Rae Bareli UP pin 229303 I also have a strong manpower of 80 peoples to give the best services. kise hoga start.Please show me the detail guide. I want to open ecom express franchisee in my area.The Pin code is 442905 Rajura , Maharashtra please help me with further information. I am interested In ecom express Franchises at Maharashtra. Dodamarg and Banda taluka. No courier company is giving services in this area. SIR, I want to open ecom franchise in my area my pincode is 192202 kokernag anantnag kashmir. I really want to start the business.